Throughout the years, Ben & Jerry’s has regularly been as outspoken about the company’s politics as it has its ice cream. And if flavors like Phish Food and Cherry Garcia didn’t quite clue you in to what those leanings are, let’s just say you’re unlikely to catch many Trump supporters listening to Lawn Boy on a sunny afternoon. For quite some time one of the issues the ice cream maker has been most vocal about is climate change. 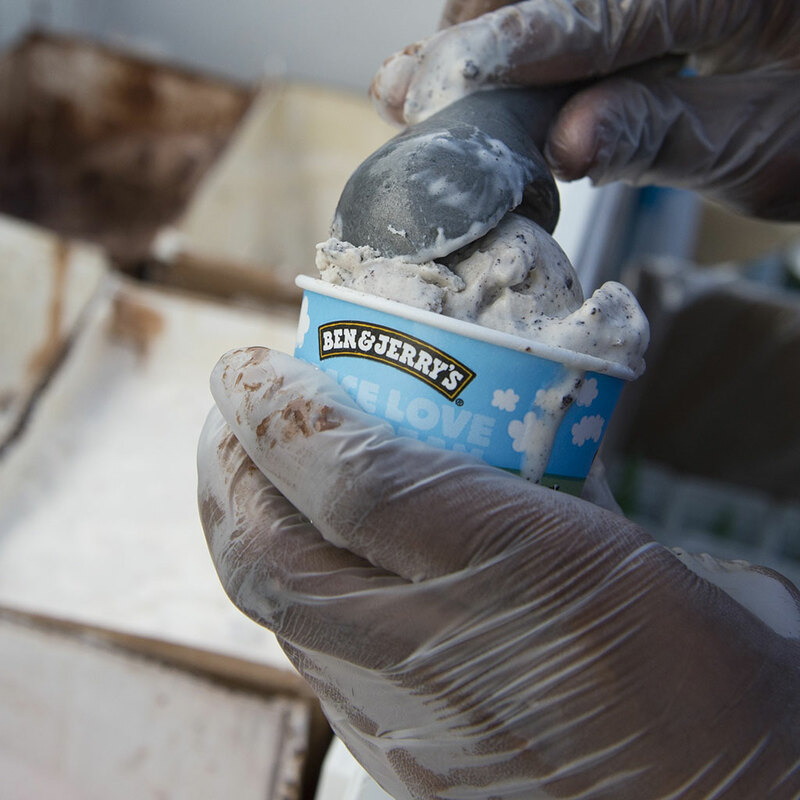 Last year, Ben & Jerry’s released Save Our Swirled (which also cleverly abbreviates to SOS) – a flavor specifically designed to raise awareness of global warming in advance of the UN Climate Summit. But more recently, the brand took a break from adding new flavors to focus on what flavors could disappear if the negative effects of climate change continue. All told, Ben & Jerry’s lists 26 different flavors facing possible dire consequences: Boom Chocolatta!, Cherry Garcia, Chocolate Chip Cookie Dough, Chocolate Fudge Brownie, Chocolate Peppermint Crunch, Chocolate Therapy, Everything But The…, Half Baked, Karamel Sutra Core, Milk & Cookies, New York Super Fudge Chunk, Phish Food, S'mores, The Tonight Dough, Vanilla Caramel Fudge, Peanut Butter Fudge Core, Peanut Buttah Cookie Core, Banana Split, Chubby Hubby, Chunky Monkey, Peanut Butter Cup, Pistachio Pistachio, Banana Peanut Butter Greek Frozen Yogurt, Coffee Caramel Fudge Non-Dairy, Coffee Toffee Bar Crunch, Coffee Coffee BuzzBuzzBuzz! “Scared yet?” the brand asks. To support the cause, Ben & Jerry’s is asking concerned parties to sign its climate movement petition. I know it’s a sunny afternoon and you’re busy listening to Lawn Boy, but if you care about climate change, it’d probably be more productive to sign the petition.